In a serious car accident, not every injury you experience is physical. Yes, you’ve likely suffered some major financial losses, as well as injuries that will take years to fully recover from. But, that doesn’t mean that your mental strain shouldn’t be compensated, as well. The answer is yes, although calculating the monetary value of intangible suffering isn’t easy. Seek out a lawyer from Craig Swapp & Associates if you’re not sure how to recover compensation for these damages. PTSD is a serious condition, and it’s one that can affect your health, happiness, and mental state for years after your car crash. Often, it requires treatment, and if not treated properly, you might find yourself struggling to manage the symptoms. If you weren’t the one who caused the car accident, you shouldn’t have to pay for any treatments you needed to manage your symptoms and deal with your condition. For some, this treatment might require counseling with a professional, medication to manage the symptoms, and ongoing therapy to manage everyday situations that now seem insurmountable. PTSD can affect every aspect of your life, and each of those losses should be included in your Utah injury claim. When you’ve suffered a condition that affects your mental state, you should also receive damages for that emotional pain and suffering, as well. Utah offers non-economic damages to injured residents, meaning that you should receive compensation for your intangible losses, as well as financial losses. Unfortunately, these losses, like emotional trauma, can be tough to calculate. You’ll need to seek out compensation for your non-economic losses with the help of a car accident attorney. They’ll have the tools you need to prove how serious your PTSD is and how much you deserve in recompense. Part of securing your compensation for PTSD will depend on how you fight back for your claim. Your lawyer will be well-versed in the laws surrounding car accident claims, and they can help determine whether you’re eligible to receive funds for your PTSD. 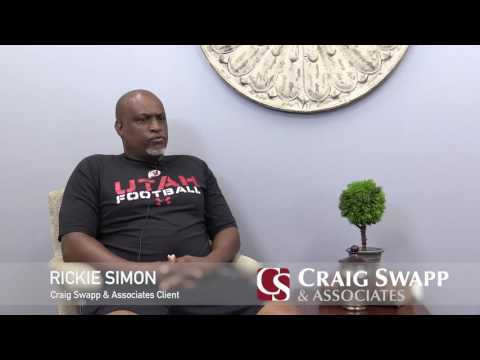 At Craig Swapp & Associates, we want to make sure you’re getting the money you deserve for your suffering. We offer free consultations so we can discuss what your compensation is worth before you get started. We want you to know we’re the right law firm for you before you sign anything. Fortunately, getting started is easy. All you need to do is call 1-800-404-9000 or complete the online form below to start the conversation about your PTSD compensation.